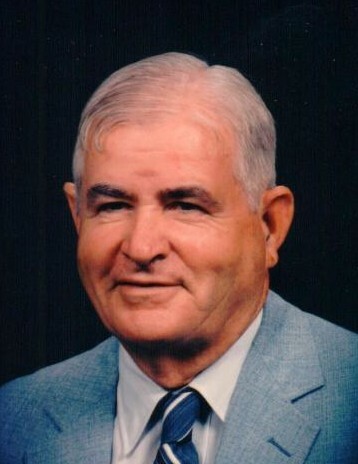 James L. Brandon, 94, of Waterloo, IL, died April 9, 2019, in Red Bud, IL. He was born November 23, 1924, in Santarem, Brazil. He is survived by his wife Thelma A. Brandon (nee Smith); children Rachel (Paul Straub) Brandon, James (Debbie) Brandon Jr., Joseph (Kathy) Brandon, and George (Kim) Brandon; grandchildren Mallory (Byrum) Koester, Lisa Straub, Joseph F. Brandon V, Holly Brandon, Elizabeth Brandon, Alexander Brandon, and Kyle Brandon; great grandchildren Amelia Koester and Olivia Koester; 3 step-grandchildren; 7 step-great grandchildren; and sister Bettie Nast. He is preceded in death by his parents Joseph Franklin & Anna (nee Harsha) Brandon; 6 brothers; and 3 sisters. James was a member of Columbia Baptist Church, Waterloo American Legion, Monroe County Retired Teachers,and Boy Scouts of America - Order of the Arrow. He was a 2017 inductee into the Waterloo High School Legacy Society Wall of Fame, 1992 recipient of the BSA Okaw Valley Council Lifetime Achievement Award, an expert gardener, avid fisherman and devoted family man.